Scott started another season with the Supreme Court basketball club today, scoring a few baskets in their two games, both of which they won by small margins. 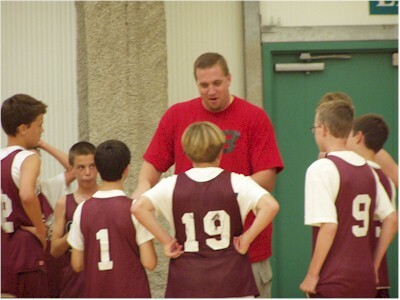 Scott's coach, who is 6' 10" tall, is wonderful at teaching the kids the fundamentals and encouraging them to play their best. He also never misses an opportunity to joke around and have fun with the kids.